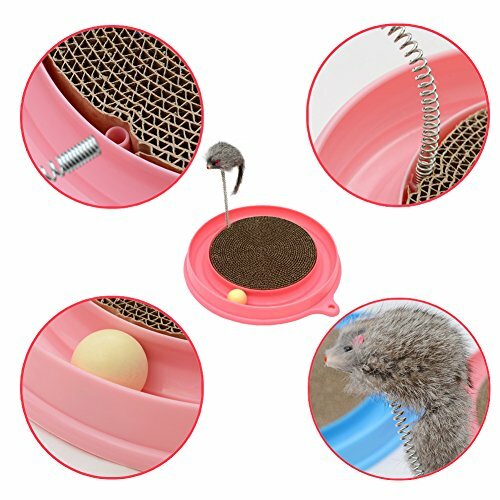 Intellectual Cat Toy Balls Not Pull Out Easily, when the cat catches the ball with paws, the ball will roll around the track, keep your cats occupied and entertained – Intellectual Cat Toy. The Turbo Scratcher has a channel for a small ball your cat can nudge with its nose or shove with its paw. In the center of the Turbo Scratcher, the textured scratch pad is both durable and replaceable. 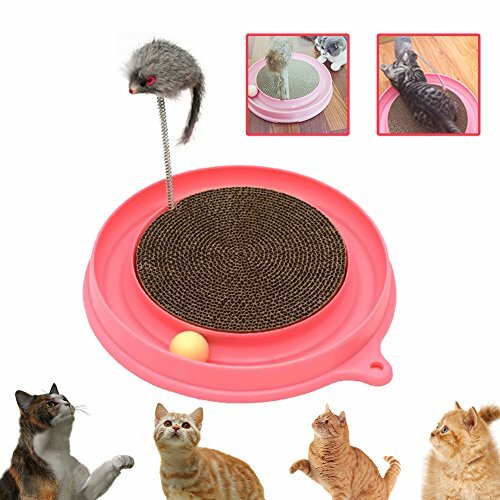 -The scratch board will surely satisfy your cat’s natural scratching instincts, while encouraging appropriate scratching behavior. 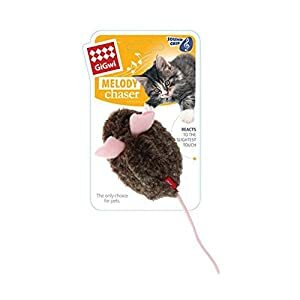 -The mouse swatter would catch cat’s attention and enjoy hours. 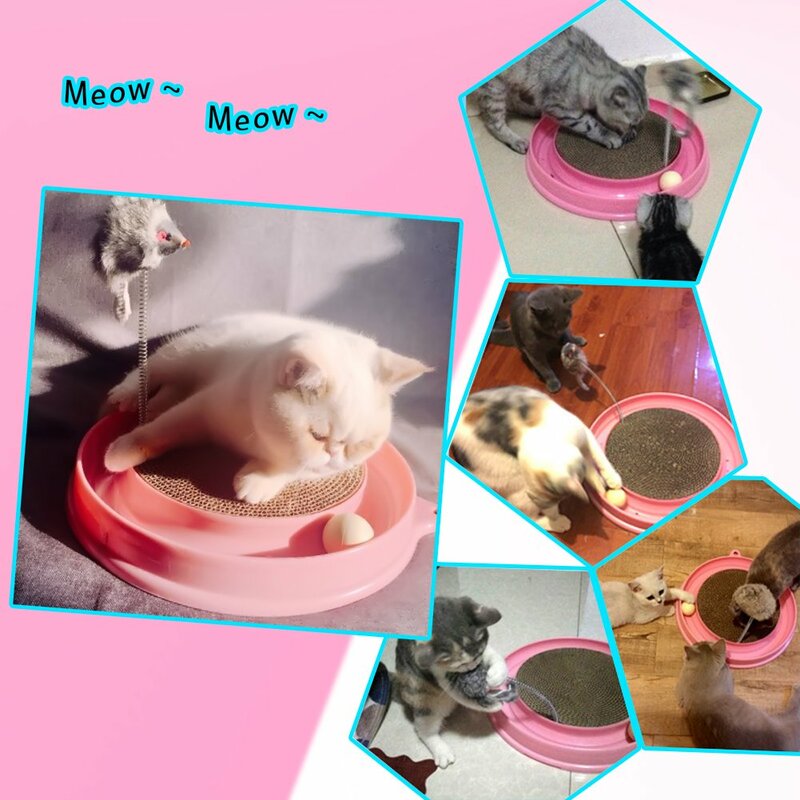 -The turbo scratch will hold your pet cats’ attention and keep them happy and relaxed. 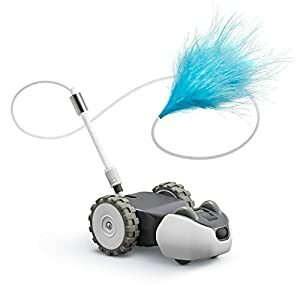 -The turbo scratch helps to stimulate dexterity, intelligence, stamina and skill, as your cat will need all of these attributes in order to try and catch the ball that rolls around the tracks. 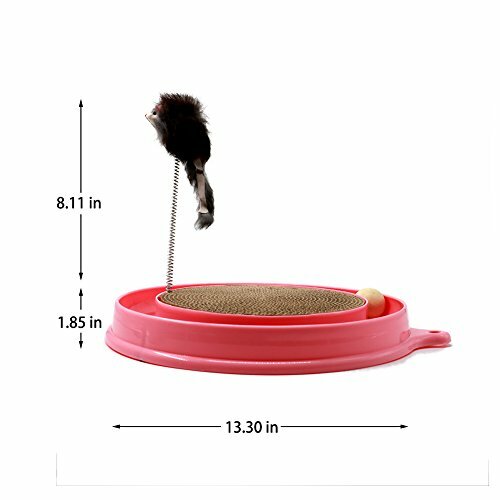 1 base (13″ diameter), 1 scratch pad and 1 ball and 1 Mouse Swatter; place ball in track for hours of fun – entertain your cat and keep away your furniture from scratching! 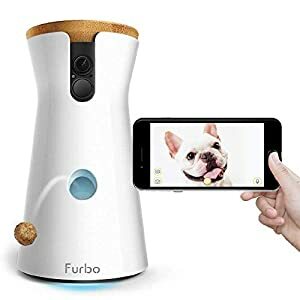 Protect your furniture, as cats prefer to scratch ,the cat scratch board can provide a good one to replace your furniture, which can protect your furniture from cat’s claw damage and won’t hurt cat’s toes. Amazon.com Price: $249.00 $199.00 (as of 21/04/2019 19:52 PST- Details)	& FREE Shipping.